← Don’t you just love these support calls? 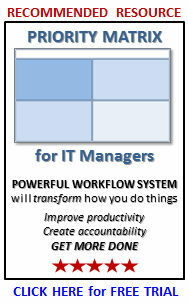 Tom Mochal and I decided to develop new 20 Minute IT Manager e-learning sessions this year. For three years between March-2006 to March-2009, we delivered weekly 20-minute training sessions to our subscriber list, , , 162 sessions in all. 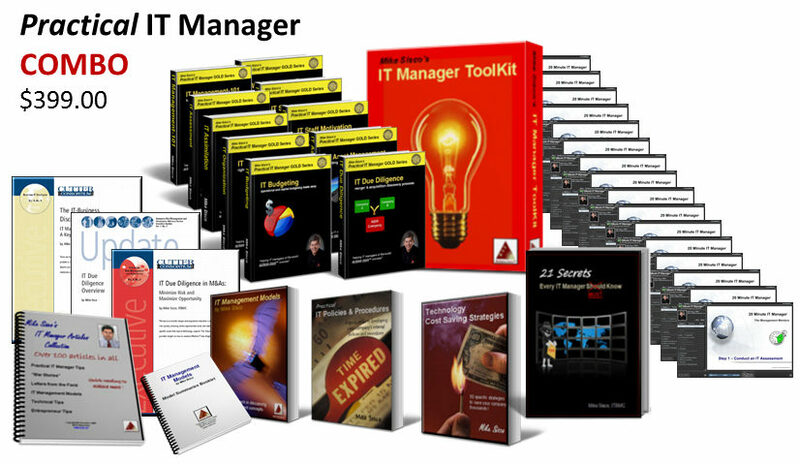 See www.20minuteitmanager.com for details. Well, I started getting prepared to produce new sessions, , , essentially developing PowerPoint presentations, recording the voice-over, and publishing the sessions for upload to our Internet servers. 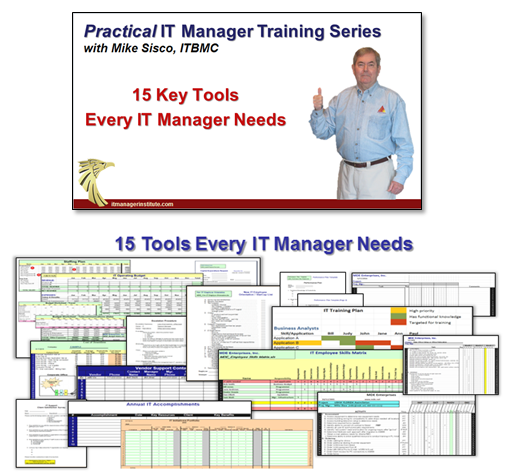 Sounds simple enough, , , after all, I’ve developed over 100 training sessions using the tools we use, , , Articulate Presenter, , , GREAT TOOLS. But I forgot one simple thing, , , I upgraded my computer system in October and this will be my first time to use these tools in my new environment. This one little change made my setup preparation a much bigger deal than I had planned. I thought I would be recording in just a few minutes. First, had to install a new licensed set of software so I downloaded the trial version and tried to register it with my registration key. Apparently to do this we needed to uninstall the version on my old desktop to free up the license. Unfortunately, this desktop has been put away never to be used again except for dire emergency and the longer we go the bigger the emergency needs to be. Surely we can avoid this “hassle factor”. When making the system conversion I didn’t worry about this part because I knew I had the registration key needed to activate the software on my new system. Didn’t realize I would actually need to uninstall the software on the old system to free up the license. A few hours to get the licensed software setup on my new system after contacting their support team, , , they are very good by the way. Not so fast, , , let’s test a few things before we go too far. Good thing I did because when I imported an audio file for one of the slides, , , my PowerPoint system freezes, , , locked, , , can’t do anything. After considerable Google searches I contact Articulate Support once again and they send me recommended solutions to identify and fix problem. I walk through their recommendations and sure enough, they work. The issue, , , my new Lenovo laptop (which I absolutely love by the way) comes configured with WinDVD and it causes a conflict with Articulate Presenter. The Articulate Support Team was right on top of the situation, , , told you they were good. I follow the problem resolution steps, do another audio import test and see that we are now in business, , , no lockup when importing audio. OK, , , ready to go. Not so fast, what’s your hurry? Let’s do another simple test, , , let’s create a 3-slide presentation and publish it to see what it looks like just to ensure all is working well. We don’t want to have to do lots of rework down the line after completing an entire presentation, , , right? My test presentation publishes the 3 slides without a hitch except for one thing. Even the PowerPoint Slide Master has to be updated. The bottom line: My 1-hour prep work turned into a 2-day effort due to the lag time back and forth with support, my learning curve, and the extra work I had to do to troubleshoot and get my presentation production environment back to where it was with the old PC. The good news, , , I’m set up once again and the new production environment is better than ever, , , faster and even easier to use. This entry was posted in IT Manager Tips and tagged it project, it project golden rule, project challenge, project frustration. Bookmark the permalink.